SCS IN SHOP SERVICES, will determine the extent of wear or damage to a particular screw compressor. SCS will give you a general report on the damage of particular parts to your compressor and gauge on what should be done next in order to get your compressor to standard operating functionality. Hotshot Pickup & Delivery Services, 24/7 Hotshot Delivery Service to and from the location of the compressor needing repair. Free Screw Compressor Inspection, SCS Screw Compressor Specialist offers Free Screw Compressor Inspections. Let us determine the extent of your problem, give you a full report, and best plan of action to get your compressor up and running as soon as possible. SCS does offer 24/7 around the clock repairs to eliminate your downtime. In some case you could be eligible for SCS exchange program offering a very quick turnaround. Gallery of photos taken during previous compressor Overhaul's or Rebuilds. These photo have been taken over the years of work performed by SCS Screw Compressors Specialist employee's. 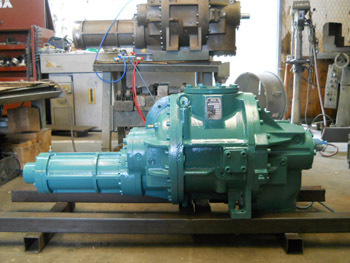 SCS has a vast number of years and experience working with numerous types of compressors. 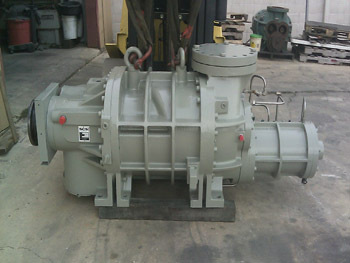 Repair photos include specified work on Frick, Howden, Mycom, GEA, Dunham Bush, and other Rotary Screw Compressors. 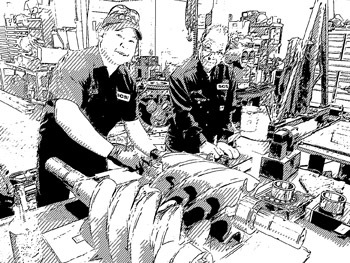 Air-Gas compressor repair/overhaul in shop and on site service – laser alignment and vibration analysis. 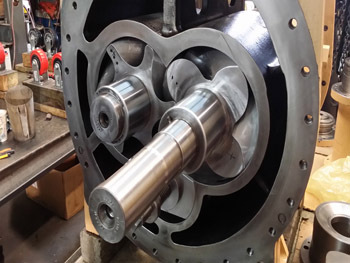 Our work is strictly with in the compressor only-we are not involved in the pressurized or depressurized of the system, high voltage electrical work, confined space entry, handling of any hazardous materials and start and stop of the compressor system. ON SITE: Customer is responsible for pump down of the air/gas system – lifting or moving the compressor to a safe place work area, disconnect any electrical and verify the ZERO ENERGY STATE. LOCK OUT TAG OUT is strictly enforced. Disassembly – Repair – Reassembly of compressors. IN SHOP: Our shop is equipped with all necessary tools and equipments - crane, forklift, special tool, etc. Our tear down table has a building oil rail drain to catch all oil drain from compressor during disassembly so there is no oil on the floor that may cause slip and fall. PPE is always available for everyone. Safety training are done year round – safety certifications is required to work in the job site. Our Combined 40 Years Experiences Will Assured You That The Work Will Be Done correctly The First Time. Our “Know How” Will Save You Money and Down Time On Unnecessary Repairs. Our Preventative Maintenance Team Will Assure You Of Smooth Operation During The Most Demanding Of Time. Our Service Team Will Work Around The Clock To Complete The Job If Necessary. We supply parts and equipment from the leading manufacturers.“Allow SCS To Prepare Your Quotes For Your Next Machine Needs” SCS also offers exchange programs on certain screw compressors, call for more details.